3 Bedroom Semi Detached House For Sale in Stoke-on-Trent for Offers Over £200,000. 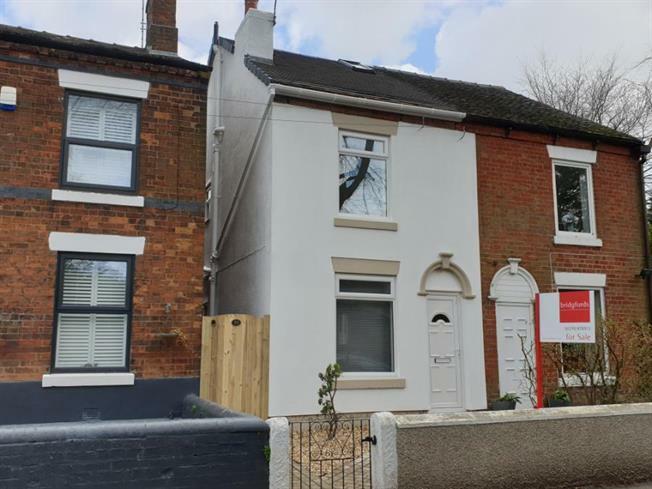 This stunning, large semi-detached house is located in an extremely popular location where properties rarely come to the market.This is your chance to own a property that has been totally refurbished to a high standard using high quality fixtures & fittings. This three storey property has been extensively extended to provide a through lounge/dining room, a superb fitted kitchen complete with mood lighting and breakfast area/sun room which looks onto a quaint rear garden adjacent to the bowling green. Three double bedrooms, one with a dressing room/study, a master bedroom with ensuite and fitted wardrobes and a contemporary main bathroom to the first floor. This accomodation has been totally re-wired with downlighters throughout, new central heating, radiators and combi boiler fitted. A beautiful glass balastrade has been fitted to the stairway and landing to allow the light to flow throughout this property. Viewing is HIGHLY recommended in order to appreciate the location, transformation and quality of this delightful home. This property is being offered for sale with no upward chain.